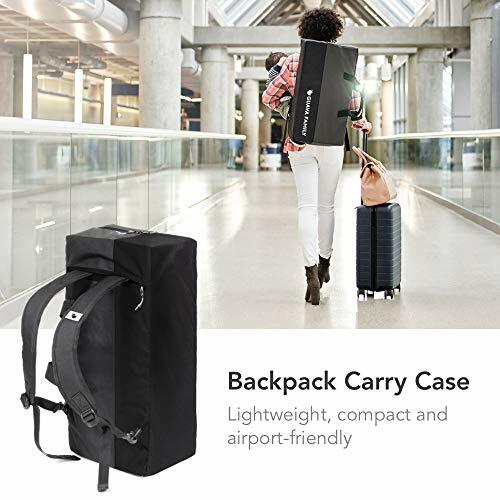 WORRY-FREE AIRPORT TRAVEL – Designed to be easy to fly with the compact, light backpack carrying case. 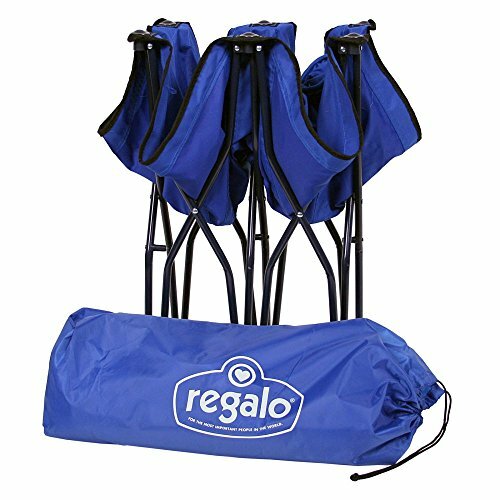 Set up is simple in 15 seconds and only weighs 13 lbs packed. 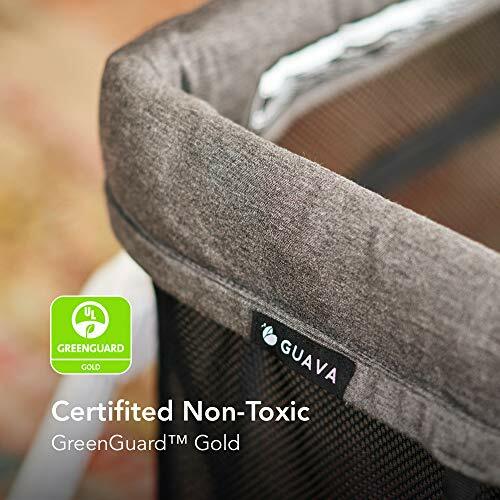 CERTIFIED SAFE & NON-TOXIC – The only playard with GreenGuard Gold non-toxic certification (low voc & no lead, phthalates, pvc, heavy metals, etc). Full-height mesh guarantees best, breathable airflow. 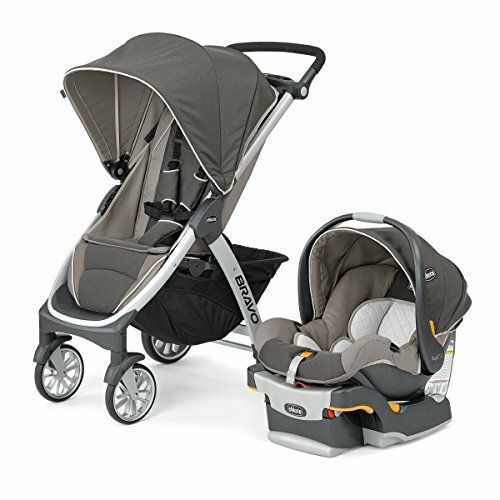 QUIET SIDE ZIPPER DOOR – Nurse or cuddle your little one to sleep, then just zip the lockable access door. Easier on your back, and when it’s time to play & crawl, more fun! We imagine life will have to be spent together. 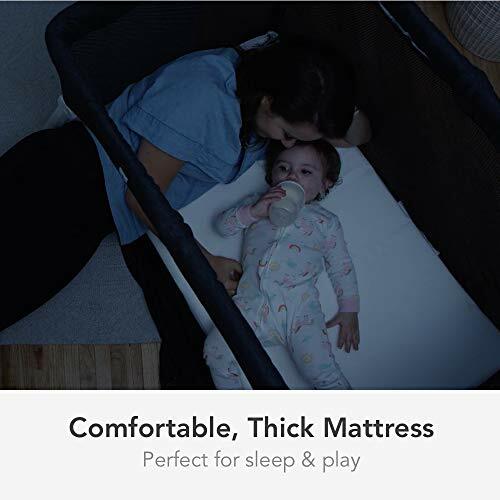 So we designed a crib to make it easier to do just that. The Lotus is more than a commute crib. It’s an EVERYWHERE crib. So light. So portable. It sets up in 15 seconds. Use it all over the place, everyday. At Home. At friends’ for dinner. At a playgroup. Across town. In the airport. Across the world. And the Lotus commute crib is beautiful. 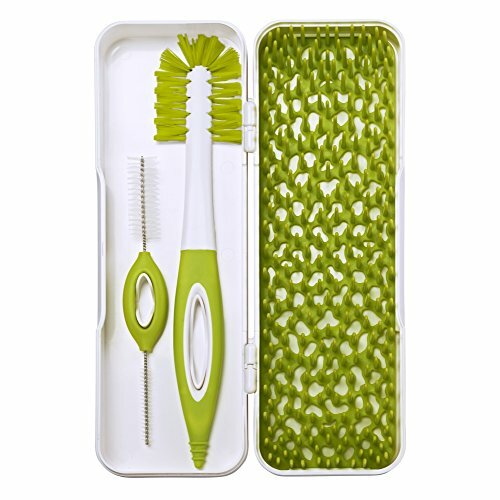 It has clean lines, art-inspired graphics and logos, soft textured fabrics, and modern colors. 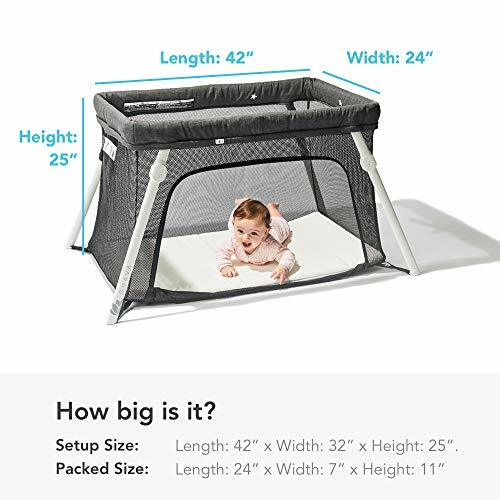 Since it’s effortless to take the Lotus portable crib with you and super fast to setup, you’ll be able to go more places and see more friends & family. 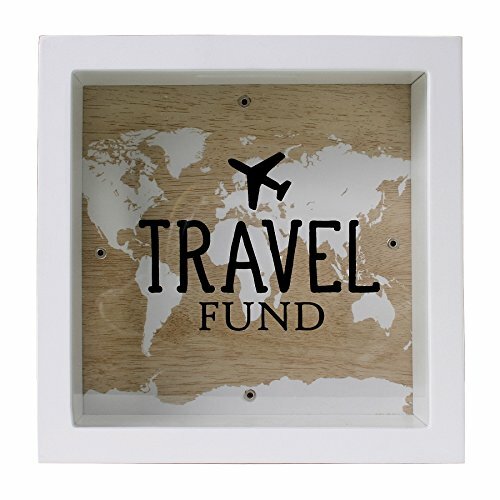 Not just on overnight trips, but always at home and across town. And since it’s a lightweight backpack, both hands are available for everything else, including the baby and diaper bag. 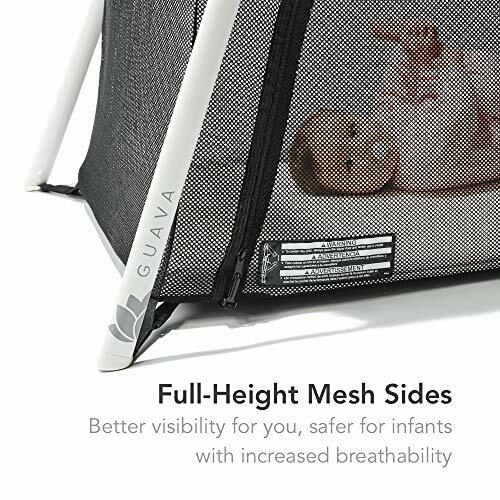 Guava Family is the only company on this planet that makes cribs that pack into backpacks. 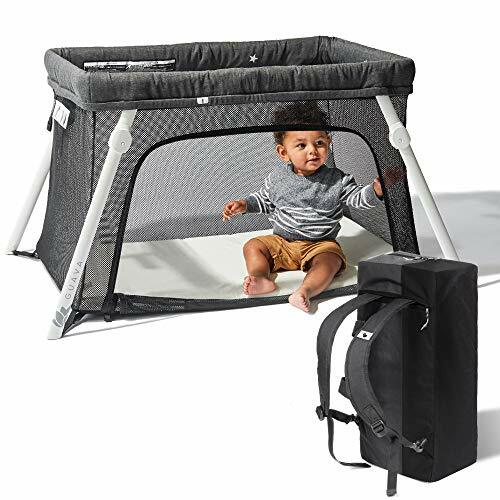 Nothing makes us happier than to see how much fun the little ones have in the Lotus commute crib. Give them their own way in and out, and they think of it as their world, not a prison. 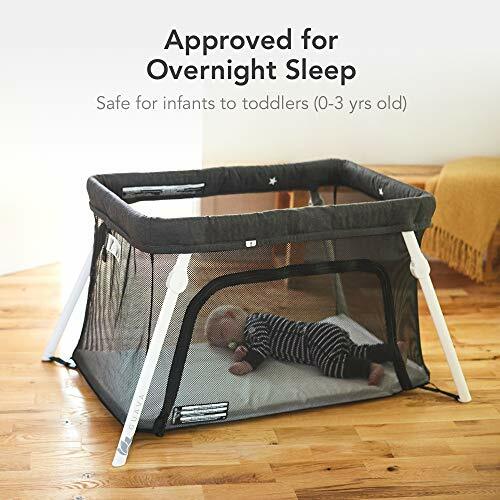 The side door, which can be zipped and secured closed turns the crib into a protected space where they will love to play, laugh, sleep. We won’t blame you for climbing in with them either…. 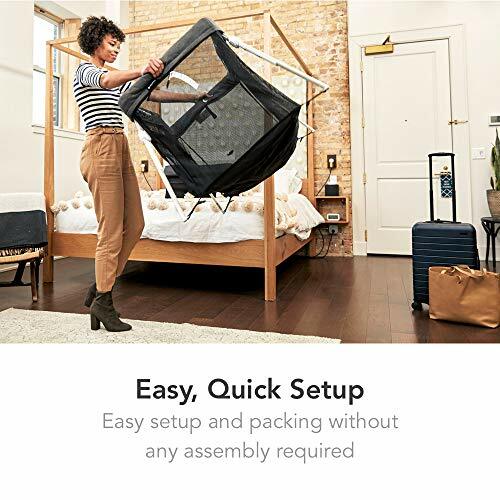 The Lotus Crib comes with the crib, mattress, and bag (with convertible backpack straps), and instruction manual, and our heartfelt thanks for joining the Guava Family! 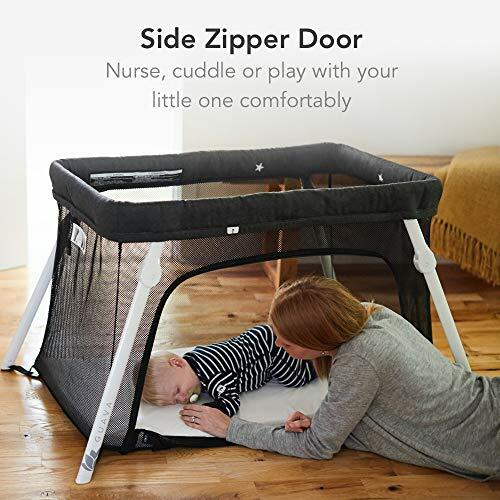 QUIET SIDE ZIPPER DOOR – Nurse or cuddle your little one to sleep, then just zip the lockable access door. Easier on your back, and when it is time to play & crawl, more fun!